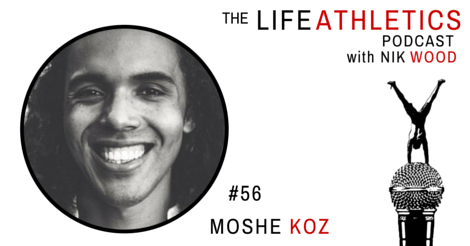 Name: Moshe Koz Today’s guest Life Athlete is Moshe Koz. Moshe is a trainer and practitioner of what he calls “conscious fitness”. He brings awareness and mindfulness to the practice of physical training and he invites his clients and anyone listening to join him in the paradigm shift. Having a practice. Purifying what isn’t me and finding what is. Feel and observe. Greatest area of strength: An ability to be there with people with empathy and to radiate compassion. It’s all connected and so I’d help them cultivate a practice. Books are a catalyst and can help in transformation but spending time by yourself in nature will help you get there so much faster.